Metal roofing was once heavily associated with warehouses, barns, and storage facilities— but no longer. Twenty years ago, the metal roofing market share was just 3.7 percent, but a recent independent study conducted by Dodge Data and Analytics found the 2016 market share for residential metal re-roofing is now 14 percent. This is up from 11 percent in 2015. Metal roofing is now second only to asphalt roofing. Metal roofs are lauded for their durability, performance in extreme weather, sustainability, and longevity, but homeowners also value the appearance of a modern roof. The study found 29 percent of homeowners found metal roofs attractive. Metal materials are available in a wide variety of styles and more than 100 colors that complement most any architectural style. Metal roofing is growing throughout the United States, but the independent study above found geography has a large impact on the adoption of residential metal roofs. The region with the largest market share is the East South Central United States (Alabama, Kentucky, Mississippi, and Tennessee), where 30 percent of homes are being re-roofed with metal. Other notable regions include the East North Central region (Illinois, Indiana, Michigan, Ohio, and Wisconsin). This region contains 13 percent of the metal roof market share, and the New England region (Connecticut, Maine, Massachusetts, New Hampshire, Rhode Island, Vermont, and New England) has 12 percent. Metal roofs accommodate homeowner needs in both warm and cool climates. In hot climates, shingles are susceptible to cracking and curling under the sun’s heat, making a roof vulnerable to leaks and future storm damage. Metal is an ideal choice, as it can easily withstand blistering conditions. Metal roofing can also keep a home cooler, and can reduce air conditioning costs by 20 percent or more. In cooler, rainy climates, metal roofs also provide homeowner advantages. 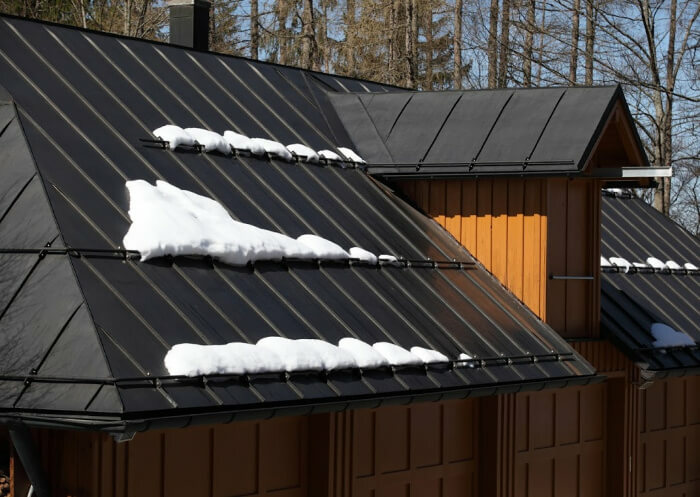 Metal roofs help reduce snow burden and prevent rain and snow from collecting. (Snow guards should be used to ensure snow slides safely off a home.) Panels are built to resist cold weather damage. Modern metals are a substantial investment for homeowners. 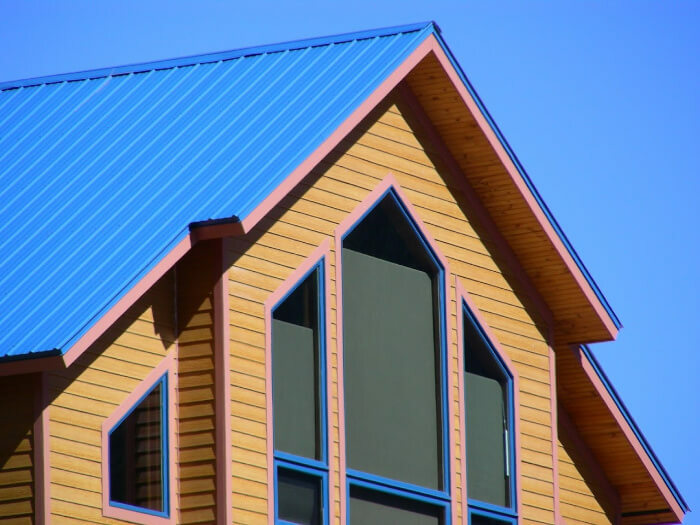 Metal roofing materials can range from $7.00 to $9.00 per square foot. The installation of a metal roof can cost between $21,000 to $50,000. Comparatively, asphalt shingles can range from $1.50 to $5.50 per square foot, and foam can cost as low as $1.65 to $2.50 per square foot. The higher prices for metal materials are balanced with extended warranties and long life, as metal roofs can last up to 60 years. An added benefit of this premium home improvement is the increased resale value of a home. The Metal Roofing Alliance reports that homeowners are typically able to recoup an extremely high rate of the roof’s cost— 85.9 percent according to national averages. Twenty percent of homeowners surveyed found roofing to be a good investment to their home’s value. When selecting a contractor, take care to find one who specializes in the installation of metal roofing. Our Modernize Contractor Checklist was created to help homeowners find and vet a trusted contractor. You can access the interactive checklist by visiting the Modernize Homeowner Portal or by downloading it here.